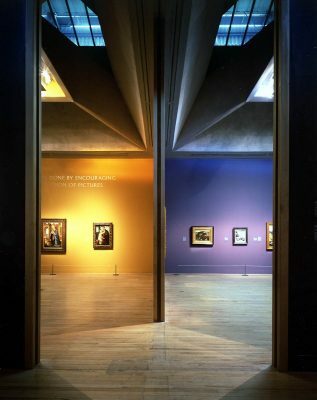 The Ruskin exhibition was designed by MJP, Jocasta Innes and Rogier van der Heide for the reopening of Tate Britain after refurbishment. The curators were Robert Hewison and Ian Warrell. 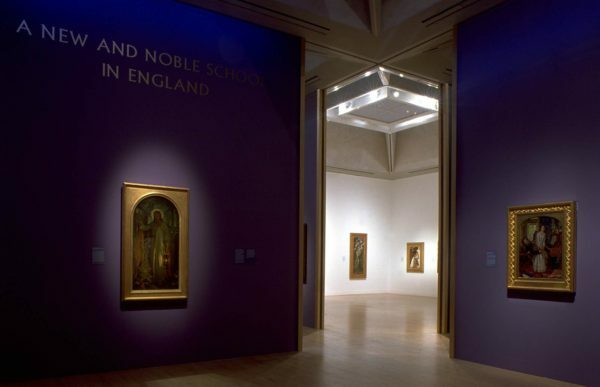 …a beautifully lit and poetically coloured maze of spaces, which lead you through the mind of the great man (Ruskin) from the luminous brilliance of his youth to the dark and terrible days of his madness. The exhibition is as near to seeing as Ruskin saw. 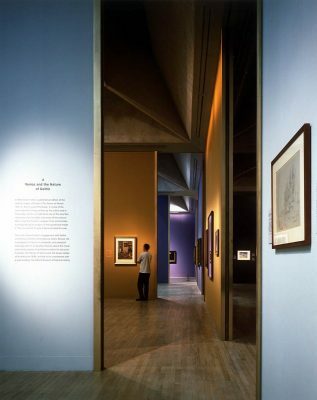 Coloured walls, subtle graphics and tightly controlled task lighting create an appropriate atmosphere for viewing the artwork.